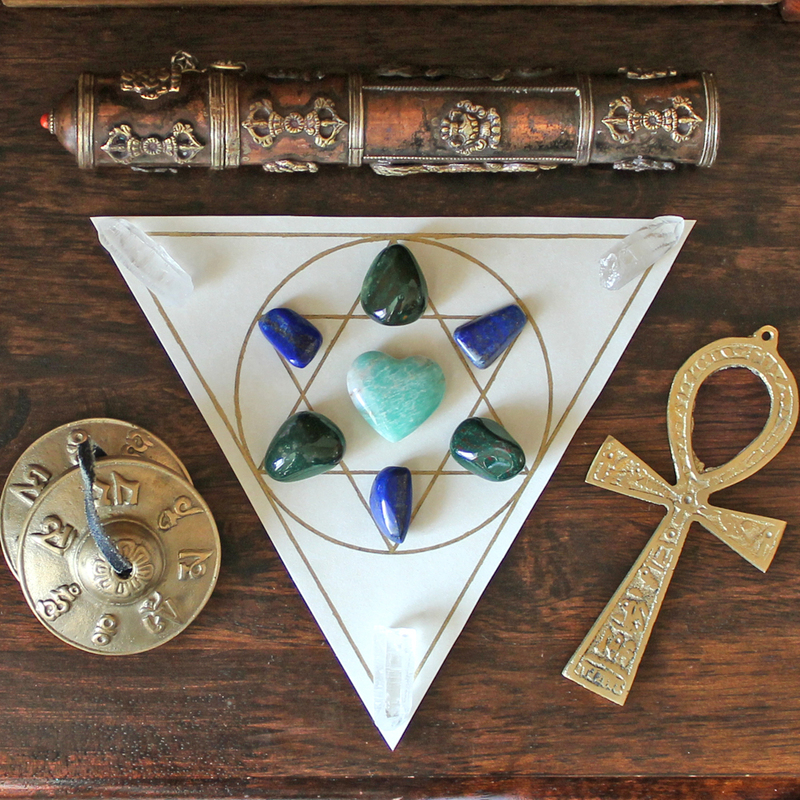 Have you wondered how and why do crystal grids work? How is it different from using a single crystal or carrying a group of stones? 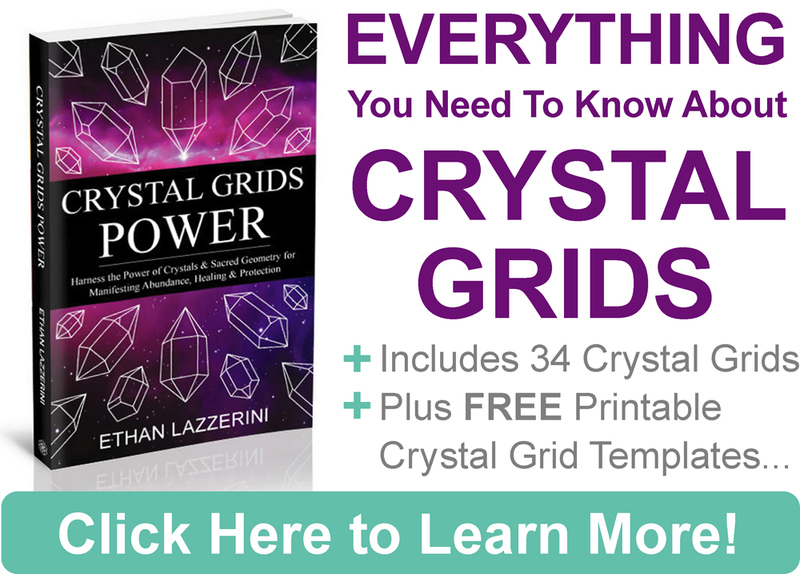 This introduction to crystal grids will reveal all. How Are Crystal Grids Different From Using a Single Crystal? Generally, when you create a crystal grid, you use more than one type of crystal. These stones may also be used in multiples like 4 or 6 for example. You are using the combined energy of not only different types of crystals with different properties, you are also multiplying their energy. Think of it as a team of crystals, all adding their own strengths to help you towards making a change. Many crystals have a geometric crystalline structure or form. These work really well when combined with the geometric patterns of crystal grid. Every crystal carries its own unique energy and meaning. crystal grids harness the energetic properties of different crystals to support you in your goal or intention. I carefully choose the crystals in my grids that have the properties I need. If I am making a crystal grid for success for example, I would choose crystals that attract success. I would also choose crystals that support this goal such as crystals for determination, self-confidence or prosperity. Some crystals are used to amplify the effects of other crystals and direct their energies within the grid. Crystal grids use a variety of crystal energies towards a desired outcome. Sacred Geometry is the metaphysical science and belief that the geometric patterns that are found in nature and the cosmos are like a divine fingerprint. Acting like the framework of creation, it makes sense that to manifest something in our world we should work with Sacred Geometry. Different geometric shapes and symbols have their own special uses and can tap different types of energy. Not all the grids you will see about use Sacred Geometry but I think it makes a crystal grid so much more powerful and connected. The geometric shapes I work with in my crystal grids are carefully chosen to support the goal or intention behind the grid. Sacred Geometry also helps sending the energies of the grid out into the world and Universe to manifest. Or alternatively it can be used to change the energy of a location or someones aura in healing work. 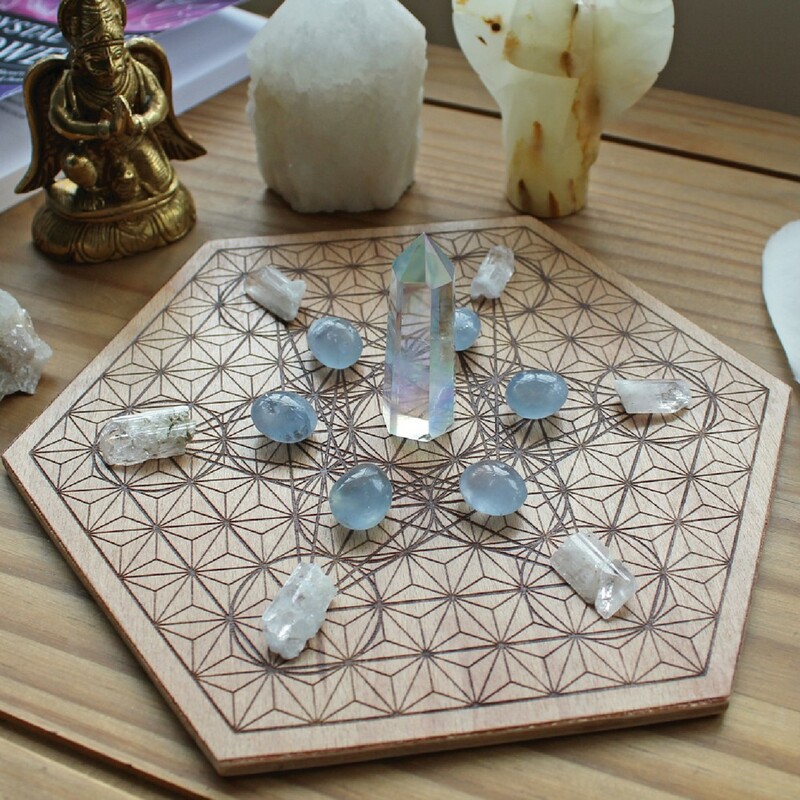 This healing crystal grid uses a Triangle, Circle and the Star of David. Numerology is the ancient spiritual science of numbers and is closely related to Sacred Geometry. 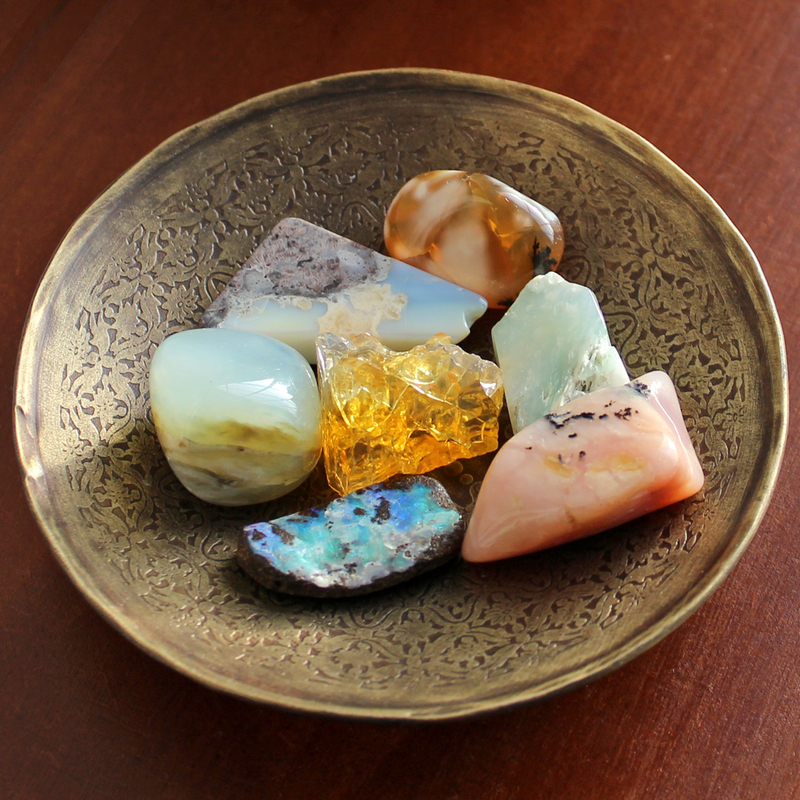 By carefully choosing set numbers of crystals you can tap into their symbolic meaning and power within the grid. Not all grids use the symbolic power of numbers. I love working with numerology in my crystal grids to help support the intention behind them. Working in multiples of certain crystals amplifies their energy and helps focus them on a specific task. Your mind and thoughts direct energies too. When crystals are charged with your intention and arranged with a specific goal in mind, then they really work their best. Clarity is vital for manifesting and all spiritual work. You can charge your crystals with your intention for them by programming them. This is really just giving them a task so they can help you. The crystalline structures of the crystals helps store your intention and broadcasts it for as long as you want. If the crystal grid is for manifesting something, it can help attract your goal through the law of attraction. Crystal grids are powerful tools and many have seen and experienced their effectiveness. As with all types of manifesting technique, you must follow through with any actions you need to take. The Universe does not reward many people who sit and wait for things to come to them. Crystal grids are like a prayer or mantra in stone. Wooden grid base by Fractal Roots Design. Crystal grids harness the properties of a group of different crystals and a variety of metaphysical systems (Crystal Healing, Sacred Geometry, Numerology and the Law Of Attraction) towards achieving a desired outcome. Crystal grids connect with the fabric of the Universe. They can broadcast your intention or their energy 24/7. 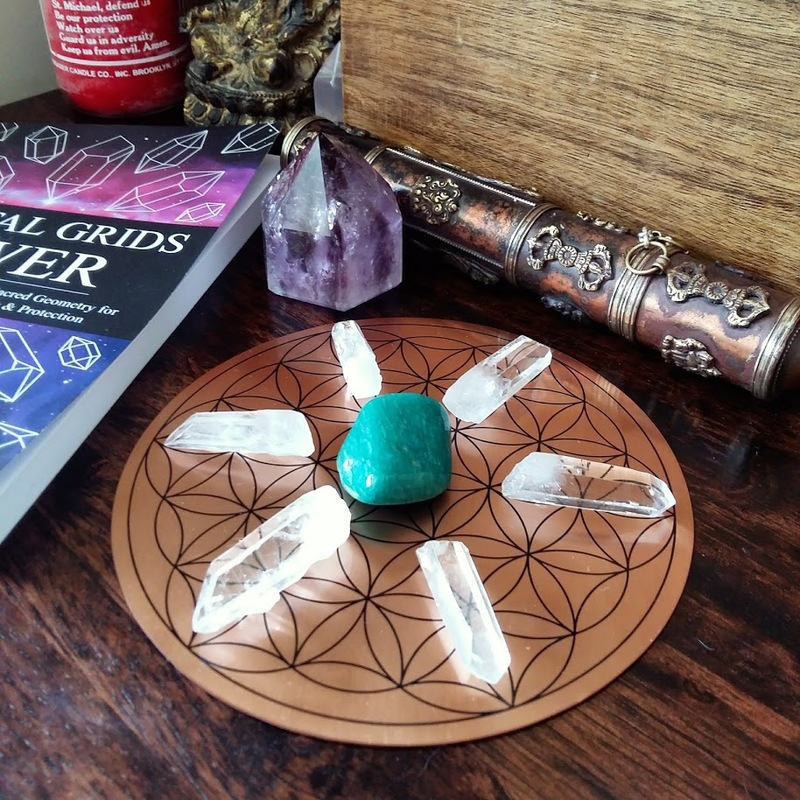 Crystal grids help transform the energy of a situation to create the change you want to see, which is how all manifesting and energy healing works. Lots of people are making purely intuitive crystal grids and there is nothing wrong with that. I just feel that we have so much metaphysical knowledge at our fingertips, why not use it? When this is combined with intention, that’s when the magic happens. That’s why I use intention-based crystal grids and have experienced the results. Everything that is part of my grids has a reason and purpose behind it. 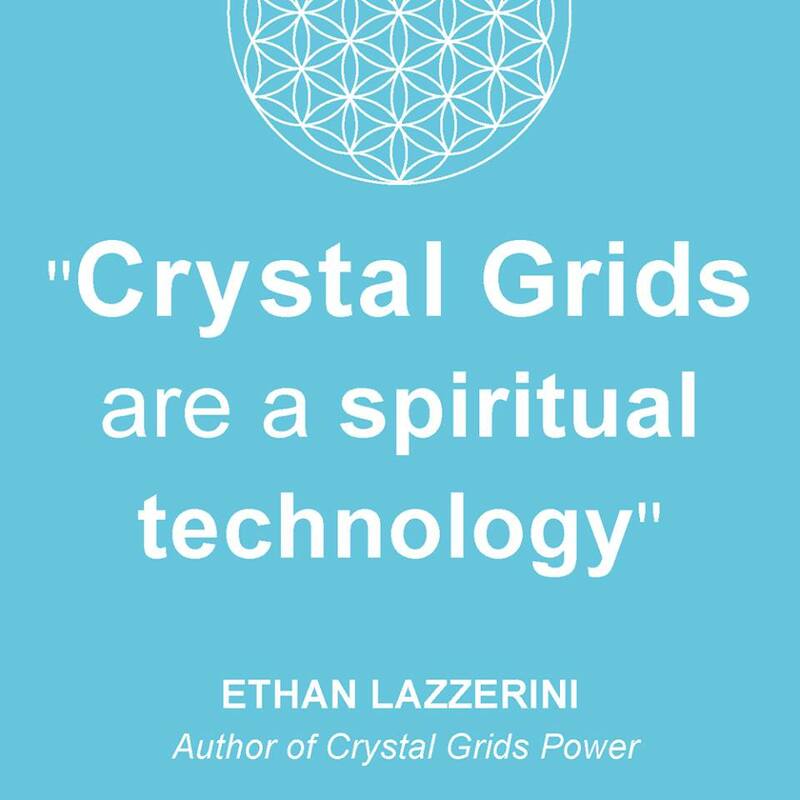 If you want to learn a whole lot more about this fascinating subject, check out my bestselling book Crystal Grids Power. Do you have a question about how crystal grids work? I would love to hear from you in the comments below (Please keep any questions you have on topic if you want a response). Hi, I read that if you want to become close to someone you’ll put a photo of them or their arua photo in the middle of your crystal grid, but what if you want to be closer to multi people? Can you put more then one photo down or would you do something different? 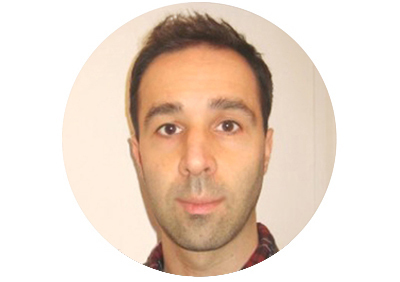 Hi Danielle, you can use photos in crystal grids to create a connection between the grid and who it is for. A group photo or multiple photos can be used. In my book I do say that I personally do not make grids for people unless they know or have asked. There may be exceptions. I do not use grids to influence someone. This is just how I work, so only you can decide one what you feel comfortable with and which seems ethical to you. I am a beginner when it comes to crystal grids. I have your book, but have a question….does the use of color within the grids, increase its power? or is it all in the intention? Does the color effect the crystal? For example, pink grid for love or a green grid for abundance. I’ve seen grids printed on cloth in different colors and I was curious if coloring them would impact the grid’s power at all. Hello there. I am also a beginner in Crystal Grids and Crystal Healing. I have already ordered the book, but have questions regarding grids. If I create a crystal grid for love, can i place it anywhere in the house? Can I have more than one grid? Hi, thanks for purchasing my book! The book will go into locations for grids in detail. With regards to multiple Crystal Grids, yes you can do that but in the beginning it might be best to focus on one thing at a time. I too am a beginner and have just read your book on crystal grids as it is the next stage in my learning. I notice in your book that you recommend multiples of a particular type of crystal to form a grid. I have now over 120 different types of crystal but few duplicates. I would appreciate your thoughts on using mixed crystals be that by colour or crystalline form to build a grid. Hi Donna you can do that as long as the properties of the crystal’s align with the purpose of the grid. Generally though when you start gridding you will need to purchase multiple tumblestones or points. I have kept most the crystals in the book to easily available stones for this reason. I have built two grids from your templates, one for Spiritual Guidance and one for Psychic development using crystals of similar colour and chakra alignment. Oh wow the power! The Love was almost overwhelming, all the best for your book. As as many of the others I am just beginning in crystals and crystal grids. I understand making the intentions on each crystal but was wondering if any intention could be placed on any crystal. For example, could an intention of happiness be placed on any crystal or does my intention have to match the purpose of the crystal? Also, could I have the same intention on multiple crystals or does each crystals intention need to be different? 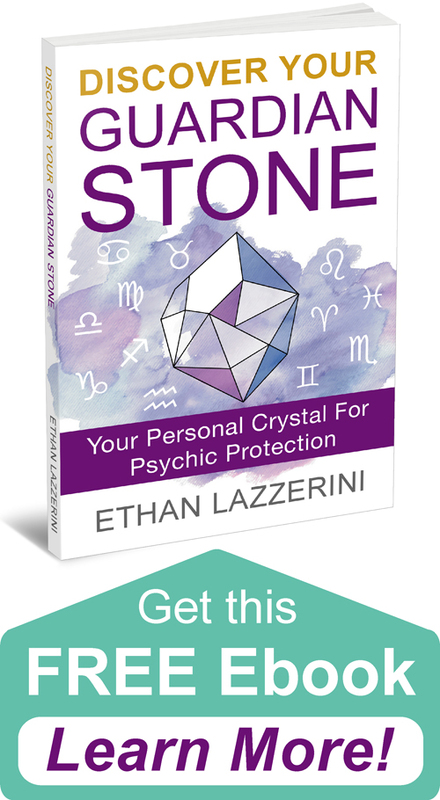 Hi Erica, I have covered this question in the article on How To Program Crystals. For your second question it depends on what you want. As you can see with a Crystal Grid, which is a group of crystals you can program them all together to help with your intention. Hi there! I see certain patterns in the grass when I’m relaxed, is there any reason I should be taken notice of this and use it for my crystals. Seeing these patterns are amazing. Interesting, I have not noticed this myself. I work with intention based Crystal Grids and select the gemometries for my purpose. How long would you have to leave a crystal grid. Would it be until you manifest your wish? I saw a reader last night. Shei need to get tourmaline. Later shared that I should put a crystal grid under my bed .. where would I start? It depends on what the grid is for and if you need it. I only teach intention based crystal grids. There is a grid to help with sleep in my book crystal grids power. These issues effect my sleep & I get dehydrated & more sensitive. Some techniques will over stimulate, like Thai Chi or meditation, unless the energy is closed down before hand. I’m cleansing my energy daily & using grounding stones but nothing works unless I can keep the portals closed. Any ideas? When yu say leaks/portals are you talking about holes/tares in the aura? I have got a crystal grid with photo of me and my love and kept it at safest place. Hor many days it takes to work and show its impact. What was the grid created for? I have just ordered your book about grids. I am a beginner and wanted to make a grid for my daughter who has exams coming up. What are the main crystals that I should be using? I thought of clear quartz, tiger eye, fluorite. Anything else you would recommend? Hi Dani, thanks so much for getting the book. Sounds like you know what you are doing and those stones should be ideal for the grid. I wouldnt add anything else unless stress is an issue then something like Turquoise or Howlite might help.